This site was designed at abbaroo.com in 2006. 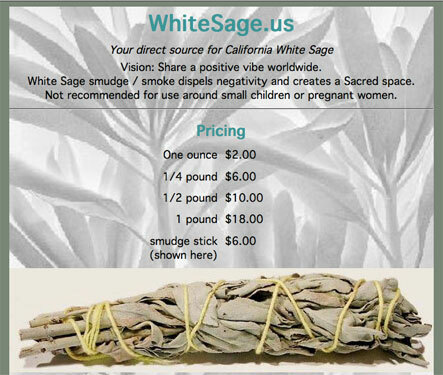 It's a simple site, that allows the client to sell white sage products online with a simple order form. There is also a photo gallery of sage plants and products.